Babysound A and Babysound B are the perfect tool for baby heartbeat monitoring available in Canada and supplied by babysound.ca. They are two of the most affordable baby dopplers in the market. 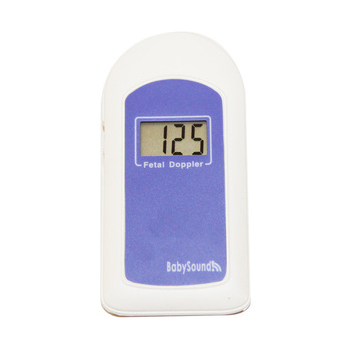 The Babysound A Handheld Pocket Baby Doppler is a simple and elegantly designed compact Baby Doppler with easy to use grip handle. This product’s ergonomic design means it can easily be held in the palm of your hand for easy maneuvering to find your baby’s heartbeat from the twelfth week of pregnancy. 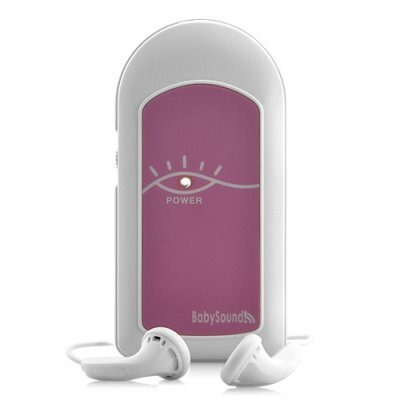 Babysound A has a small light indicating that the device is on but there is no display on the unit.It is the most affordable Baby Doppler available in the market suitable for expecting parents who are looking for a good product at a set budget. The Babysound B Handheld Pocket Baby Doppler is a simple and elegantly designed compact Baby Doppler with easy to use grip handle. This product’s ergonomic design means it can easily be held in the palm of your hand for easy maneuvering to find your baby’s heartbeat from the twelfth week of pregnancy. It is equipped with an FHR display screen showing fetal heart rate.